Pest Inspections CT. In most cases, you need a pest inspection for a mortgage. Whether it be a VA Mortgage, FHA Mortgage, Conventional Mortgage, or Mortgage Refinances or Refi’s you are typically required by the lender to have a pest inspection done on the property. Do you really need a pest inspection? Your opportunity to have the property inspected for termites and pests should not be treated lightly. First of all, if you need a mortgage to buy the house, you’ll find that institutional lenders REQUIRE that a pest inspection be done. Your lender is concerned – and rightly so – that it might be lending its money to buy a house that is infested with insects that have or will harm the house’s structure. If that were the case, the mortgage loan that is being given to you could never be recouped by the lender since the house will be devalued greatly by the pests. YOU should be just as concerned. NOTE: “Pest inspection” is the popular term. However, the pest inspection actually encompasses all “wood destroying insects”. Termites happen to be the most prevalent of these pests. Most often, there is a provision placed into the Contract of Sale (Purchase Agreement) giving you, the buyer, or the borrower, a short time period within which to have a CT Pest Inspection performed. Immediately after receiving a fully-signed Contract of Sale (Purchase Agreement), you should make an appointment with a licensed pest inspector to go to the house and inspect for termites. 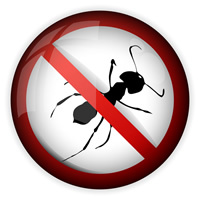 Once you make an appointment for a pest inspection, you then have to arrange for the company’s access to the house. One of three situations could result from a termite inspection. One: “No evidence” of wood destroying insects on a report means what it sounds like it means – that the pest inspection revealed no evidence or trace of wood destroying insects, dead or alive, and no evidence of their damage to the house. The inspector will provide you, the buyer, with a report to this effect, and you frequently are asked to provide a copy of the report to your lender. Two: “Evidence of damage” means that the inspector found damage to the house which likely was caused by wood destroying insects. However, in this scenario, the inspector has found no “active infestation” or rather no evidence that the damage is currently being perpetrated by live insects. Some lenders will be satisfied that there is no active infestation on the date the termite report is issued, but a number will require a treatment if the seller can’t provide proof of past treatment. Three: The pest inspector finds an active pest infestation. It sounds bad, but a good Contract of Sale (Purchase Agreement) will cover this situation. Remember, a Contract of Sale (Purchase Agreement) is a flexible document, not just a form. You and your attorney can negotiate almost anything into it. Contracts of Sale (Purchase Agreements) may permit you, the buyer, to back out or terminate the contract if there is evidence of an active termite infestation. A better Contract of Sale (Purchase Agreement) will give the seller an opportunity to remedy the termite problem by having it treated within a reasonable period of time, usually at the seller’s expense, and having any termite damage repaired. Not to sound redundant, but . . . most houses are made substantially of wood. Thus, wood destorying pests are the arch enemies of houses, and you should be sure to protect yourself against the risk they pose. To schedule your CT pest inspection for a VA Mortgage, VA Refinance, FHA Mortgage, FHA Refinance, or Conventional Mortage, Refinance or Refi call us today 888-558-1574.